If you or a loved one has been injured or killed due to someone else’s negligence, the legal help you need is within reach. At my firm, Bruce A. Gartner, P.A., in Jacksonville Beach, I demonstrate that quality personal injury representation does not have to be impersonal or unaffordable. Many times, people feel uncomfortable seeking out legal counsel, fearing they are undeserving of help or unable to pay the associated costs. You do not have to feel that way. At my northeast Florida firm, I believe that qualified legal counsel should be available to anyone who has been injured. With more than 20 years of experience handling auto accident cases, premises liability claims and other legal matters, I provide clients with the highest levels of advocacy and service. You can rely on me to guide you through each step of your case until it’s successfully resolved. Trustworthy — I am passionate about fighting for the rights of those who have been unjustly harmed or injured. Rather than looking for the easiest way out of the case, I will press to maximize your judgment or settlement. Skillful — As an advocate who concentrates exclusively on persona injury and wrongful death claims, I am skilled in the courtroom and at the negotiation table. My firm won’t let you be pressured into accepting an unfair resolution. Responsive — You can reach out to me 24 hours day, seven days a week, no matter what your specific concern might be. In every situation, I’ll give you a clear, complete answer and the compassionate treatment you deserve. Most personal injury and wrongful death cases are subject to a statute of limitations. This impacts the amount of time you have to file a claim. I provide a free initial consultation so that you can start the legal process as soon as possible. Auto accidents — After an auto accident, I will answer all of your questions and deliver comprehensive support during insurance proceedings and in court. This includes actions that arise from truck, motorcycle and pedestrian collisions. Wrongful death — My firm assists family members and loved ones who seek the remedies called for under Florida’s wrongful death statute after a fatality. Premises liability — For slip and fall claims and other premises liability actions, I’ll review the circumstances that led to your injury to determine if reasonable safety standards were breached by the property owner. Dog bites — In dog bite litigation, I take on pet owners whose animals have caused injuries to victims. Food poisoning claims — Improper handling by stores and restaurants can trigger food poisoning and food-borne illness. My firm takes action to secure a fair remedy for victims and prevent further harm. From your first meeting through the resolution of your legal matter, I will focus on getting a result that puts you and your family in the best position to move forward. Bruce A. Gartner, P.A. 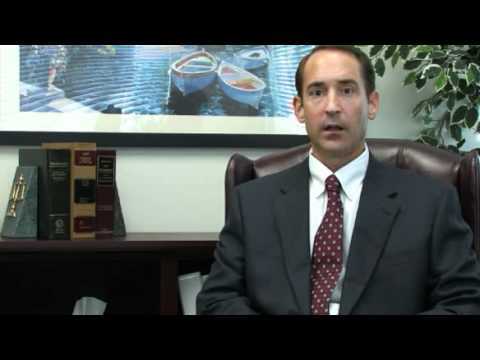 represents northeast Florida clients who have been injured in auto accidents and other instances of negligent behavior. Please call 904-241-9444 or contact me online to schedule a free initial consultation at my office in Jacksonville Beach.